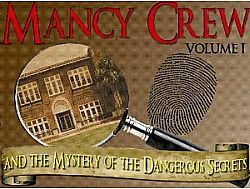 I had a Nancy Drew Mystery Party for my 12th birthday. My birthday was Friday and I wore a huge candy corsage to school. 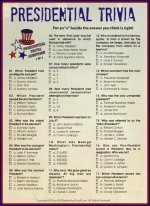 Everyone thought it was the coolest thing. Then I went to my school's teen night and the whole high school and middle school sang happy birthday to me. The next day we had the Mancy Crew Mystery Party. One of my closest friends, who suggested the mystery theme, came over in the morning to set up. Around 7pm all 16 girls showed up. We had to solve Mancy Crew's problem. It was a sleepover party, but it didn't get out of hand. 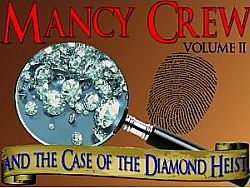 Everyone was a different detective like Mancy Crew, Sherla Homes, Adriana Monk, etc. After we solved the mystery, we all got into our sleeping bags and watched Nancy Drew and fell asleep. The next morning my mom got bagels and we opened presents. Everyone is still talking about my party and how awesome it was. 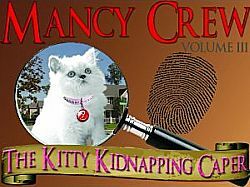 Maybe this year I'll do the Mancy Crew Volume 2 party. What do you think? !